Tucked in the heart of Friendly Hills, this home is a gem and has been meticulously maintained. This home has charm throughout and thoughtful updates. The main floor features new hardwood floors, a renovated kitchen with vaulted ceilings, an island, built-in desk, and open feel. Other interior updates include newer paint, doors, hardware, and all bathrooms are updated. The upper floor has three bedrooms, including a true master bathroom with in-floor radiant heat! The basement offers perfect flex space that could be a used as a fourth bedroom or recreation room. Major updates include newer vinyl windows,sewer line, concrete driveway and garage, exterior paint,hail-resistant roof, and over 500 square feet of deck. 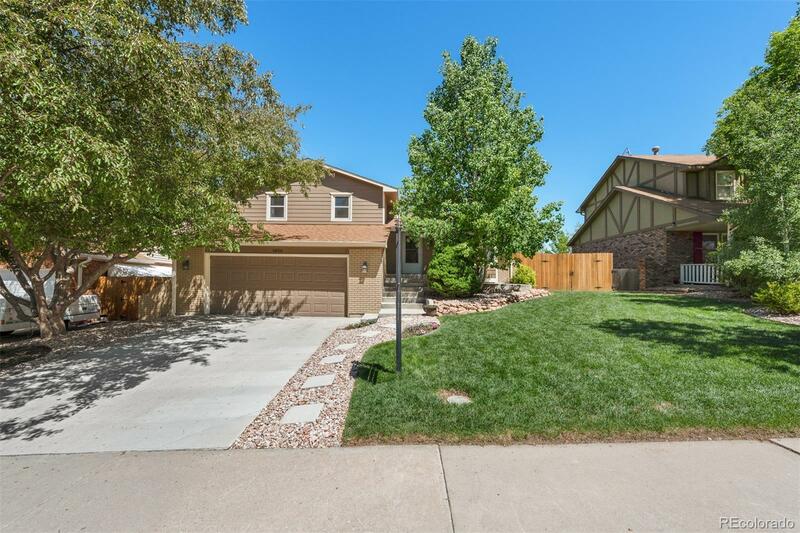 Excellent access to Weaver Creek Park, Weaver Gulch Trail. Weaver Hollow Pool available to join. Enjoying the outdoors is easy on the front and rear patios,or rear deck. The spacious two-car garage offers tons of storage and excellent workshop area. This home is move-in ready.